Trials and tribulations are words that we do not like to hear, and yet as I read my Bible and see that whether or not I agree with God on having them enter into my life, I have come to realize that they are to God like a scalpel that a doctor would use in a surgery where he would cut something out that is potentially harmful to my physical health. 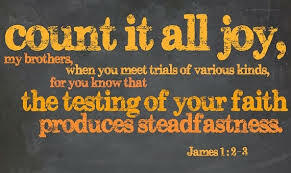 In the same way, God uses trials to remove those things in my character that if left unchecked will result in a stunted and weak spiritual development. No matter who you are, man or woman, young or old, they come to us in every walk of life. There are some who will face financial trials for their entire life….. One thing for sure, the longer you live, you will face many trials or troubles. It might be family, or relationships, but they will come. 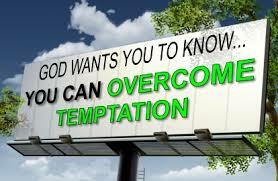 There are some who believe that if you become a Christian, that all of your trials will go away. There are even some inside the church that say that if you just believe in Jesus, everything will be great! Sadly, I have not run into this kind of belief in Scripture. Quite the contrary. 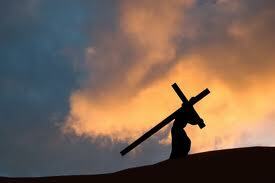 Jesus never told His followers that if they followed Him, that everything would be great or rosy. Jesus did tell people that followed Him that it will be a difficult road. But good news! These trials will come and go, as God faithfully uses them to slowly but surely transform your life into a way you could never have imagined! Hallelujah! 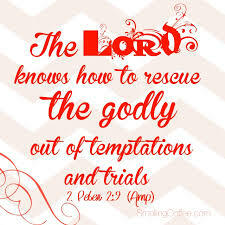 it is music to my ears that the ‘Lord knows how!” because I have to admit that if left to my own resources, I would crumble at the thought of another trial. But the Lord know how, when I’ve had enough, making sure to never give me more than I can handle. Lord, thank You that You are always my strong right hand, to help us in times of need. We don’t ask for ways out of these trials Lord, but we do ask that You give us Your wisdom, that we might become learners and applying Your wisdom int0 our lives and become like Paul, rejoicing, trial after trial!, trusting in Your Saving and wonderful grace! in Your Name we pray this and in Jesus Name, Amen. There is an instruction still given today to those in the ‘Peace Corps’ as they serve in the areas throughout South America. The instruction? ‘How to react to a hungry python while in the jungles. #2. Lie down flat on the ground on your back with your feet together, arms at your side, head well down. Now then, the python will then try to push its head under you, experimenting at every possible point. 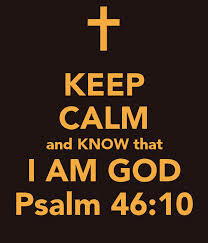 Keep calm! (this was underscored). 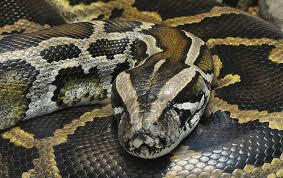 ‘Allow the python to swallow your foot….it is quite painless, and will take a long time. Be careful not to lose your head and begin struggling, the python sensing your struggle will quickly whip his coils around you. 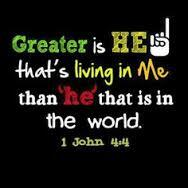 The spiritual lesson when you are under pressure, being tested, is to what? 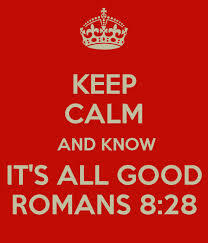 Stay calm! wait until God opens a door of opportunity to walk out unharmed. Walking out unharmed is really what the testing is all about. 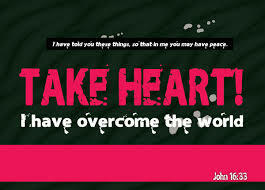 God Has given us 3 Extremely Powerful words of Encouragement when one is in a Season of Trial. 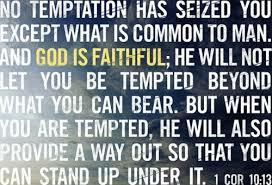 First Encouragement: Despite popular belief… The Bible teaches us that God will bring us into Seasons of Trial……. in fact one of the best tests of Christian growth and maturity is trouble………. 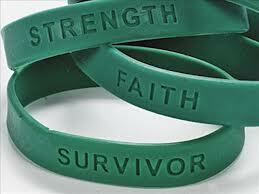 When a believer goes through personal trials, they discover just what kind of faith they really possess. Trials not only reveal our faith, but they also help along to develop our character. Patience is enduring faith, faith with staying power. This kind of faith will usually come trials and tests from outside circumstances. I don’t know about you, I kind of like this kind of faith, with ‘staying power’. Unfortunately, when certain things occur outside my normal circumstances….I have a difficult time gaining any appreciation for them at that moment.. There is no trial that we may go through but such as is, ‘Common to man’ . And so if you are at the point where you may not be able to make it, remain steadfast! Hang in there, remain still, and wait for the opportunity that God will present to deliver you safely, and more stronger than you were going into it. Don’t back up because you’re being asked to endure what you may think that no one else has had to endure. God is saying to you right now, ‘Marty, I know that what you are going through is very hard for you, that it may even seem to be unbearable, but you need to realize that there are many others who have already gone through very similar trials like yours. 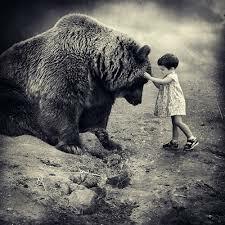 If I enabled them to get through it, I will also get you through it!’..…. ‘ Marty…….. “When you pass through the waters, I will be with you; and through the rivers, they shall not overflow you…..when you walk through the fire, you shall not be burned,nor shall the flame scorch you. When we are going through a time in our lives where the pressure seems unbearable and we haven’t the answers, our most common prayer is, ‘God get me out of here!’. 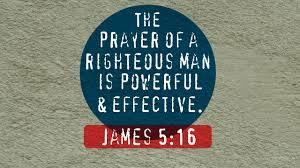 I can’t recall how many times I prayed that prayer….and nothing happened! In fact, there is no escaping your turn when you find yourself in the middle of a fiery trial! 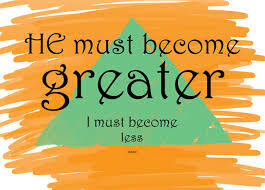 When difficult times come into my own life and I find myself unable to comprehend or understand; its amazing just how quick the enemy will begin to throw doubts and questions into my mind, and I soon find myself questioning God’s goodness, God’s wisdom in why He is allowing these things to happen. I find that I may even be bitter and angry with God for allowing this to happen to me and wonder if He really understands….. when the truth is revealed that there’s no such thing in God’s economy as things happening haphazardly to us, with no meaning or purpose behind it. There are times when I’m in the middle of it, that I find myself unable to see the good and purpose of why I’m going through it, Satan will cast some dirt of the past into my sight momentarily distracting me from the real purpose of my trials, to become more and more a child of God. It’s moments like these when I need to remember that a trial isn’t a one way street. 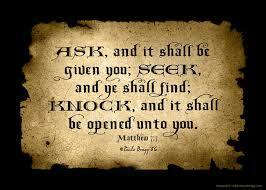 God wants me to talk with Him, to ask Him for wisdom, discernment. 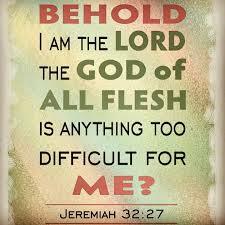 God has been very good to me in allowing me to see the good….even in a difficult trial. I can’t but remember back, one year ago where God delivered me to what I thought at the time to be the most difficult one of my life when I was diagnosed with Stage 3 Colon Cancer. I can still remember the words rolling off the lips of that doctor, and the thump as I took a deep swallow, not really seeing anything good about it. 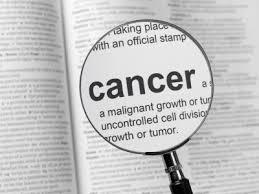 But it’s fascinating as God walked with me daily, and into the treatment rooms where they have you sit on a recliner and begin to infuse this mixture of chemicals that would ultimately destroy whatever cancer cells were still alive. How often the Holy Spirit would bring wave after wave of encouragement during those hours that there was good going on inside of me at the very time that it seemed that my body was betraying me. I can recall all the people I met and prayed with there, how God would use this trial as a floodgate of light for Him to encourage others there. I remember specifically as I was nearing my last treatment after 8 months, when there was this elderly woman sitting next to me, who was also having her infusion. As the chatter began throughout the room and we would discuss God’s Word and share how it had become a mainstay for all of us; that this woman, (who always covered her face) spoke from underneath that covering and said that all these months, although it may have seemed like she wasn’t, ‘listening’., she was; and thankful that God would send people around her, to see the good of what He was doing in the midst of all this difficulty. And so, you too, when you find yourself there, can begin to search out and discover for yourself the good He is doing through your trial, with those around you, how so much good comes from a trial! I think back in my own life, and see often I felt in certain instances where I had reached the ‘end of my rope’……when in fact, I really hadn’t. During those times, I would often feel that I could endure no more……. when I really could….only after all the smoke and dust had settled that I really could have …..endured more. Each time as God waited so patiently for me, I finally came to the conclusion, (at least that time) that God knows me better than I do myself. God knows how much I can bear. 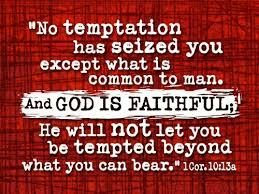 God knows exactly which straw it will be that will, ‘break the camel’s back!’ Not only that, but God promises me that He will never allow that much testing to come my way. 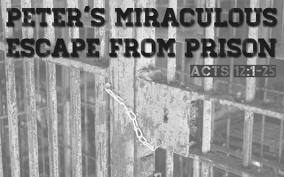 There is a story in the Book of Acts Chapter 12 where we are told that the Apostle Peter was in King Herod’s jail . Peter, no doubt had already heard that Herod was arresting and persecuting anyone who said they belonged to Jesus. James, brother of John put to death by sword. When Herod saw that this pleased the Jews, he went after Peter, arresting him at the time of the ‘Unleavened Bread’ handing him over to be guarded by 16 soldiers. 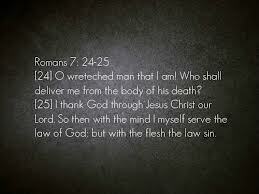 Herod’s plan was to bring Peter out after the Passover and bring him to trial. So Peter was kept in jail, while the Church prayed for him. Little did Peter know what God had planned for this trial he was going through. As it ended up, God sent an angel to Peter and provided a way of escape. However the bleakness of your situation, you must cling onto the promises He has given to you, knowing that He will certainly and without doubt see you through victoriously! I have always loved History, so when I came to know Jesus Christ as the only Person whom I could put my trust into and know that He would always keep His promises to me. That’s important, because whether you like history or not, you need to know that your own life has become….history. It becomes an account of who you were, what you accomplished, what you believed, where you lived, your whole life has great historical value to God, your life means something to God. Throughout History, God has raised up leaders. 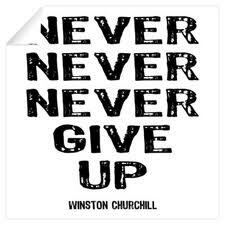 Men and Women who despite their frailties and weaknesses were used by God to bring a charge of hope and challenge in difficult circumstances to never give up. Giving up is the fleshly perspective which separates itself from hope, and leaves you feeling desolate. During the Nazi invasion throughout Europe in World War 2 , God raised up was an Englishman by the name of Winston Churchill. who would go on to lead Britain through what history books would record as the darkest hour of her history. 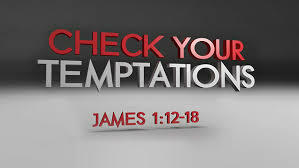 All hope seemed to be lost….but this man, whom God had raised, “for such a time as this’(Esther 4:14) refused to allow his people to give up……eventually God gave then victory over their demonic Nazi enemies. Years later, Churchill would be invited to give a speech; at a boys school, one which he, himself attended as a boy. When it was time for him to speak, he quietly stepped up to the podium and spoke these words, slowly and with great emphasis. He said, “Boys….never give up….never give up, never, never, never, never…” and he sat down. I have a feeling everyone in attendance carried vivid memories of that moment the rest of their lives. So you see, you just never know, what God is doing through you as you are surrounded by a crowd of circumstances that ask you to step out and just trust God in it! In closing, let us review what we have learned from this passage through the guidance and teaching of the Holy Spirit. 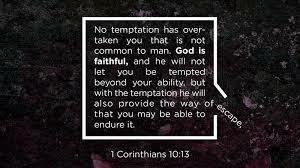 And so when I am facing a trial, I need to remember that as I let go, as I decrease, God will work out whatever is keeping you from fully trusting in Him. You will experience a contentment and peace. “And the peace of God, which passeth all understanding, shall keep your hearts and minds through Christ Jesus.” Philippians 4:17. When I am in a trial, my confidence in how it will turn out is to be put in Jesus Christ; and since He is the giver of that peace, you need to find Him in the trial. I remember the story in the Old Testament of Shadrach, Meshach, and Abendego who in the midst of a referendum given by King Nebuchadnezzar II, of Babylon, who had commissioned that a nine-story high statue, made of gold be built. When the project was complete, he prepared a dedication ceremony to this image ordering all surrounding inhabitants to bow down and worship it. The consequence for not worshiping the idol, upon hearing the cue of instruments, was execution in a fiery furnace. During the dedication ceremony of the golden image, certain officials took notice that Shadrach, Meshach, and Abednego were not bowing down to the idol. Upon being told this, The King was enraged and demanded that these three men come before him. Nebuchadnezzar knew of these very men, because it was not too long ago when Daniel had petitioned the King to assign Shadrach, Meshach and Abednego over the affairs of the province of Babylon. Daniel was also very special to the King because he was able to interpret his dreams unlike any of the Chaldean wise men. So it is of no surprise that the King would offer one more chance for these three Jews, who held honorable positions to the King, to show their patriotism to Babylon. 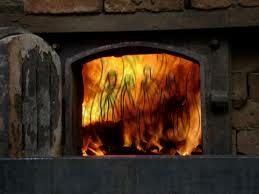 When the King saw what appeared to be four men in the furnace, unbound and walking about, he called to them to come out. King Nebuchadnezzar then acknowledged the power of their God, even going as far as to make a decree, whereby any nation who says anything against the God of the Jews is an act of war. 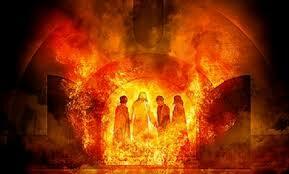 Shadrach, Meshach and Abednego were then given promotions to their positions over the province of Babylon. I read this, and wonder out loud, ‘Marty what would you do in a ‘real life’ situation , where your faith is being stretched?’ We are being called to not panic when this stretching of our faith comes. Sometimes I feel some of the little things I go through are so important and fretful, until God places someone along my path, to remind me that this too is ‘common to man’. 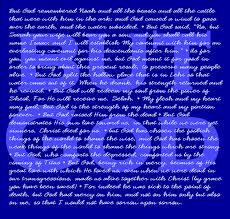 ‘But God is faithful” This so important to remember, especially when we allow ourselves to ponder on someone, or something that is coming to make everything go away. 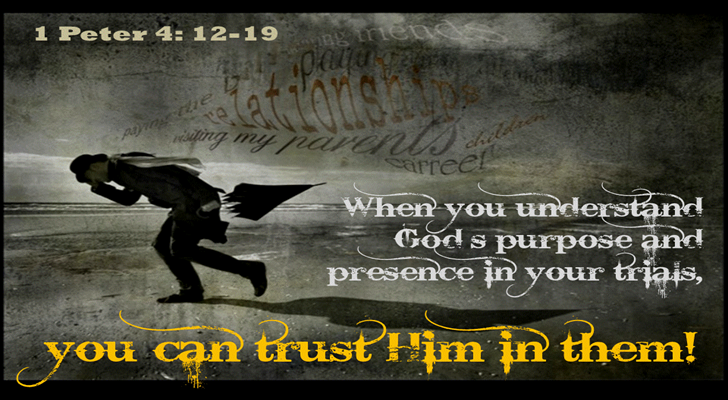 God is always faithful….you can count on Him to always come through! 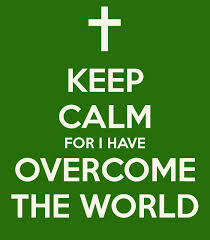 I cannot begin to overcome my difficulties until I look at the Cross at Calvary, where physical and emotional suffering took heights unimaginable to mankind. For me this becomes my standard, that God laid all my empty confidence on the Cross and walked me through victoriously when Jesus arose from the tomb. 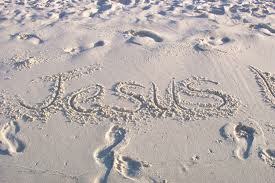 Sometimes I feel like I’ve been left alone to suffer in my difficulties and remember that God has not forgotten me. 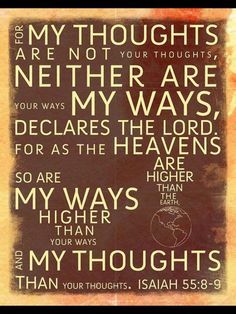 ““Your thoughts for me are more than the sands of the sea” Psalm 139:18 I meditate that my life has purpose, and this trial is bringing me closer to the truth of that purpose. 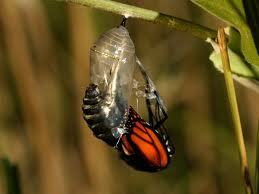 There is a wonderful story about a man found a cocoon of a butterfly. Lord, thank You that You always know what is right for my life. Give me wisdom and discernment through these trials, that I might be a shining light in a dark world so full of uncertainty at what is going to happen next. 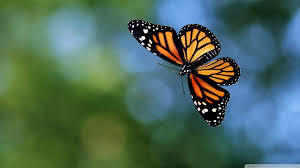 May Your Words of truth about me, and Your plans for me, be motivation enough to make me know that Your loving-kindness wraps each trial, that I might love You more each day. In Jesus Name, Amen. MUSINGS…….. Keep souls in prayer as God uses His Word shedding the truth about Jesus Christ and His amazing love and sacrifice for the sins of all mankind! Keep also the UK in prayer, it seems like God is working a revival there. Also keep my wife and I in your prayers as we prepare for a step a faith in the ministry God has given us. Enjoy today’s video from Matt Redman,…..